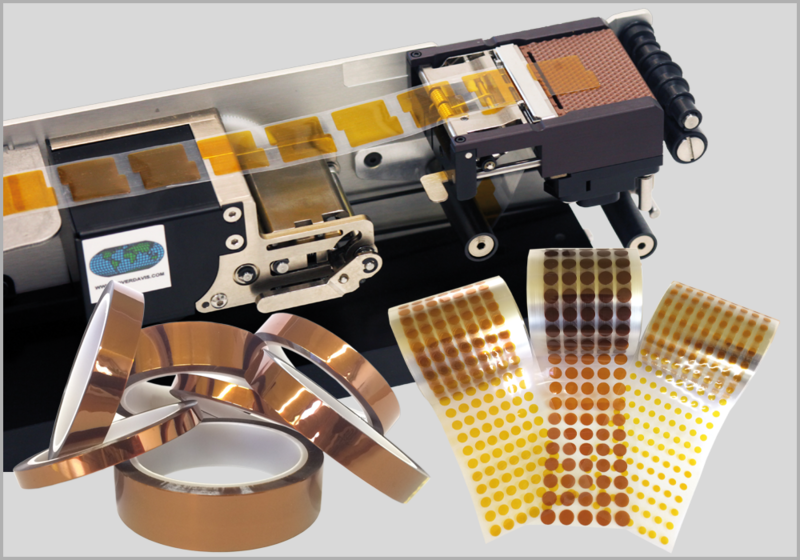 Use CCL‘s highly durable masking tapes, masking dots and labels for wave soldering processes and conformal coating applications, to be placed automatically or manually. Removing the masking dots and labels will leave you with clear and clean boundaries. No extra work is needed. Reduce cost, improve quality and eliminate hand assembly. 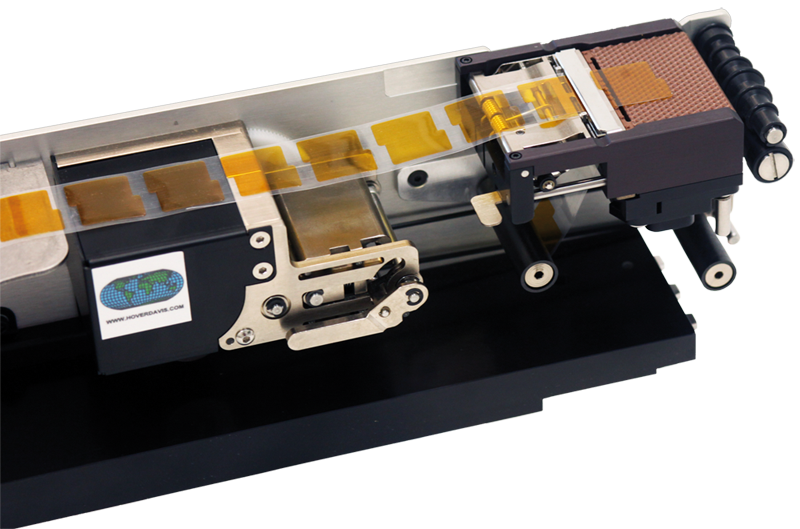 Pick and place masking labels with the configurable Hover-Davis AXIUM Media Presenter. 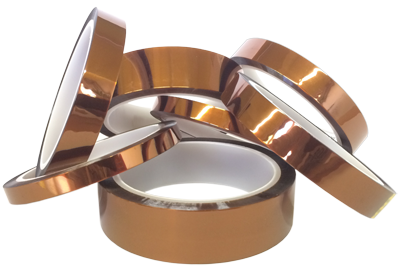 CCL’s polyimide adhesive tapes are high temperature resistant, up to 300°C. The adhesive is Silicon based, pressure sensitive and removable. 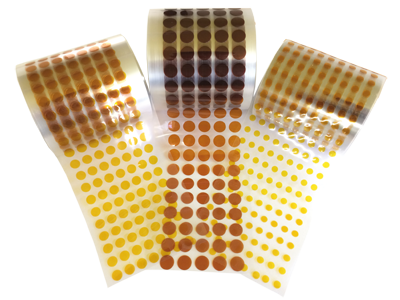 CCL’s polyimide adhesive dots are high temperature resistant, up to 300°C. 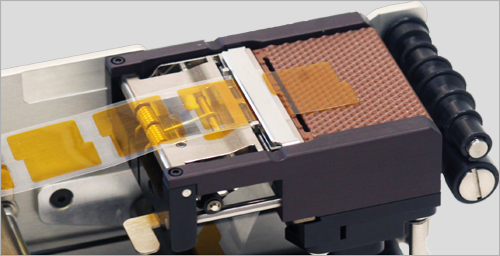 The material and adhesive are the same as used with polyimide tapes. Circular labels are available from 4 to 16 mm. Custom shapes, usually used with auto-apply applications are also available. Pick and place any adhesive media, not only masking labels with the configurable AXIUM Media Presenter. Components that used to be taped can be protected much quicker and easier using silicone caps. CCL conformal coating tapes and dots are made of a Polyester film coated with a thermosetting rubber adhesive. CCL’s polyimide adhesive tapes are high temperature resistant, up to 300°C. The adhesive is Silicone based, pressure sensitive and removable. The adhesive does not leave any residues even after exposure to hightemperatures. Available in standard and ESD safe versions from 6 to 38 mm. Other widths upon request. Thickness 1 mil. 33 m per roll. CCL’s polyimide adhesive dots are high temperature resistant, up to 300°C. The material and adhesive are the same as used with polyimide tapes. A thickness of 2 mil is recommended for manual application. Available in sizes from 4 to 19 mm. Thickness 1 or 2 mil. Other sizes, thicknesses or ESD safe versions upon request. 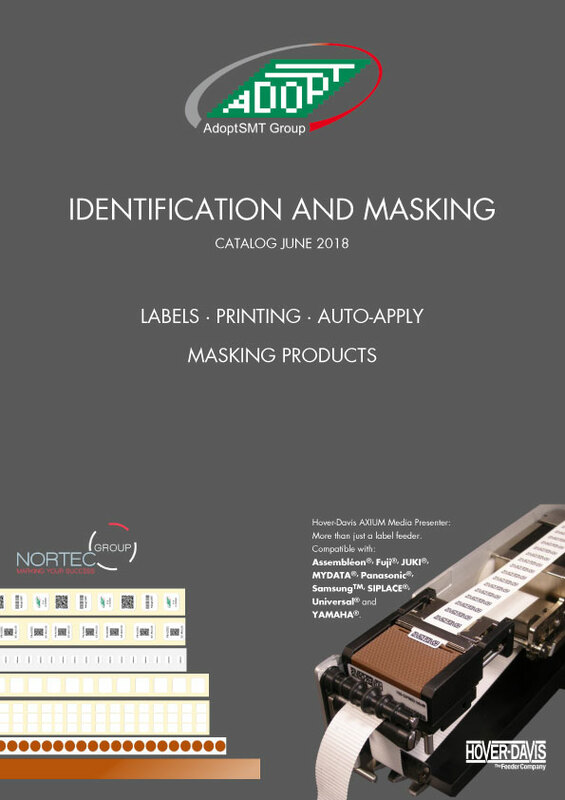 Masking labels with thickness of 5 mil are recommended for auto-apply applications. Available in sizes from 4 to 16 mm. Thickness 5 mil. Other sizes upon request. Custom shape masking labels are available on request. Please use the form in the catalog below to specify your requirements. Simple: Easy to use user interface with push button controls. User serviceable modular design. AXIUM Media Presenters are compatible with Assembléon®, Fuji®, JUKI®, MYDATA®, Panasonic®, SamsungTM, SIPLACE®, Universal® and YAMAHA®. A board that used to be taped. Silicone caps make masking so much quicker and easier. CCL conformal coating products are made of a Polyester film coated with a thermosetting rubber adhesive. The tape is highly conformable to the PCB tracks. After coating the dot/tape can be removed safely without leaving any residues. · Conformal coating tapes: The roll length is 66 m, widths from 3 to 25 mm. Tickness 1 mil.